With so many activities on offer across the county here are Chiltern Relocation’s top picks for some seasonal sparkle. 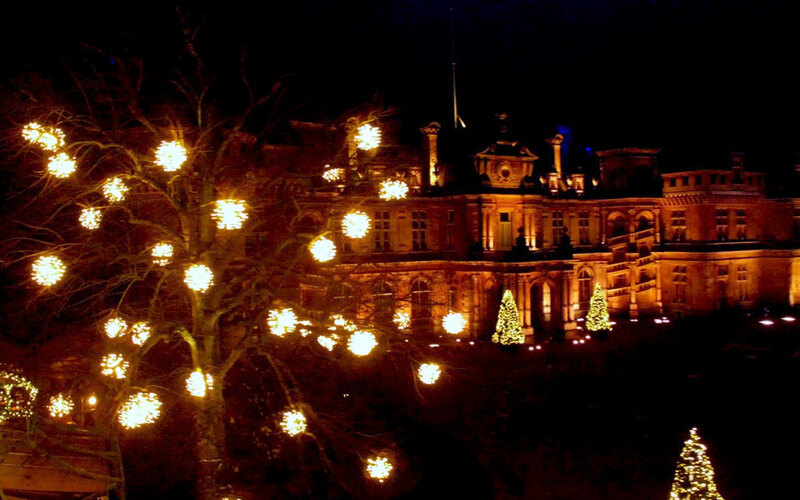 This year Waddesdon Manor, the stunning National Trust 1870s Renaissance-style chateau built by Baron de Rothschild, is pulling out all the stops. Their Christmas Fair runs until 10th December with 80 hand selected exhibitors housed in charming wooden chalets offering unique gifts, crafts and festive foods. From dusk you can enjoy the Waddesdon Imaginarium – a new light and sound show projected onto the Manor. Celebrating the art objects, architecture, gardens and history of Waddesdon, visitors will be enchanted by roaming porcelain animals, dancing musical clocks, cascades of blooming flowers, fluttering clouds of butterflies and spirited 18th-century portraits. The Beaconsfield Festival of Lights will be held on Wednesday 13th December from 6pm until 9pm. The main roads are closed in the new town as market stalls, fairground rides, hand-bell ringing and tombola’s and a huge variety of stalls take over. A stage in front of Costa runs a program of events including local school choirs and bands. There is also a procession of lanterns made by local primary school children and of course Santa on his sleigh. The Henley-on-Thames Traditional Christmas Festival will be held on 4th December from 5pm until 9pm. The town centre streets are closed to traffic, fairground rides appear, shops stay open late and charity stalls offer mulled wine and seasonal goodies and the Christmas tree lights are turned on. For something completely different, the Henley Living Advent Calendar unfolds every evening at 6.15pm from 1st-24th December. Each night a free surprise 30 minute performance or show takes place at a different venue around the town, anything from a Rock Choir to ukulele players, jazz band, carols or poetry readings. A must see! He’s behind you! 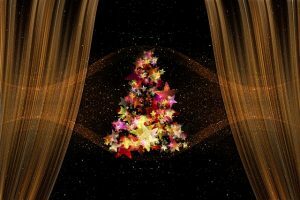 No Christmas would be complete without the traditional pantomime and there are plenty to choose from in Bucks. Jack and the Beanstalk comes to the Wycombe Swan with guest stars Simon Webbe and Britain’s Go Talent winner Ashleigh with her performing dogs! Aladdin is this year’s pantomime at the Waterside Theatre in Aylesbury starring EastEnders actress Michelle Collins as the Genie of the Lamp. And Milton Keynes has a double celeb’ header with Brian Conley and Gok Wan taking to the stage in Cinderella.